Two months ago I posted a story here on the fate of the Monarch butterfly which many of you read and shared. This week we have an update from the New York Times that is worth reviewing briefly. There is good news and bad news, and, for me, a new sense of how complicated these things are. Many of us who are trying to help may not have been helping as much as we thought. So listen up – this is important for the butterflies, and for us. The major problem for the monarch, as we pointed out in the earlier post, is loss of habitat and in particular loss of wild milkweed in my part of the world, the upper Midwestern states of the US. Because of poor agricultural practices, including expansion of corn and soybean fields and dramatic increases in the amount of the herbicide Roundup that is being used, as much as 60% of native Midwestern milkweeds disappeared between 1999 and 2009. Over that same period of time, butterfly populations plummeted 80% both in the Midwest and in Mexico. It seems like there is an easy solution: Plant more milkweed to help replace that which has been lost in the vast agricultural lands in the region. It appears that millions of us have done just that. I’ve done so myself – sort of. Being a kind of lackadaisical homeowner and gardener anyway, I’ve just allowed a wild patch of milkweed to proliferate. Which apparently is what most of us should have done rather than what many of us have actually been doing. We’ve been planting the wrong kind! With the loss of native milkweeds that die in the fall, monarchs are encountering tropical milkweeds that are still thriving. Dr. Altizer (a disease ecologist at University of Georgia) fears that when monarchs encounter lush foliage in the fall, they may become confused, start breeding and stop migrating. Adding to the complexity is the fact that not all monarch scientists agree on whether this is much of an issue, and if it is, how serious it might be. Untimely breeding and infestation with parasites that are associated with the tropical variety of milkweed are two possibilities. No one disputes that loss of milkweed habitat remains the monarchs’ biggest threat. But if the population gets smaller, risks once considered less important — like severe weather and disease — could prove catastrophic. 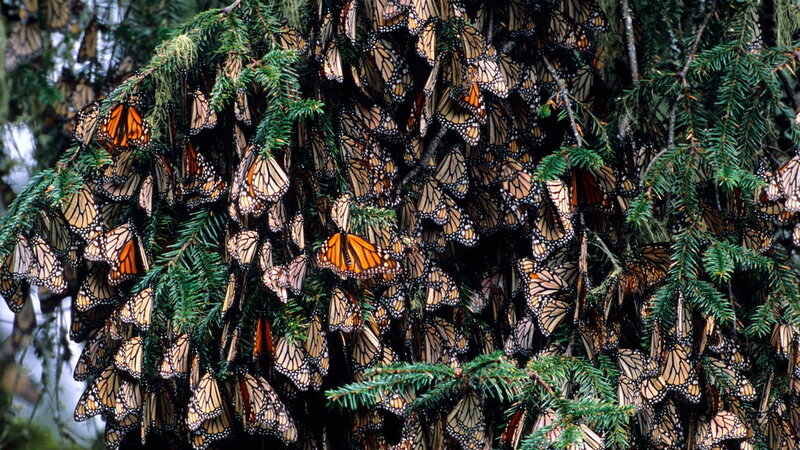 So where does that leave us ordinary folks who just want to see the beautiful monarch return? Everything God has designed comes with multiple layers of complexity. Let’s try to avoid changing and damaging things and systems that God put in place and that have been functioning beautifully for thousands of years. Let’s apply the precautionary principle with new vigor. Butterfly enthusiasts shouldn’t feel bad for planting tropical milkweed, monarch researchers say. But they should cut the plants back in fall and winter. Or even better, replace them with natives. There are native plant societies across the country that can offer advice. In fact, you can come by my yard if you like. My natives are definitely acting like weeds, and my wife would love it if you’d take some off my hands! Photo by Janet Wachter, who usually just takes pictures of flowers. See her work every day on the Care of Creation Facebook page. Martha and the Monarch: Must we do it again? Previous PostWill We Sustain Disruption or Disrupt Sustainability?Next Post“Our Father’s World” documentary with Pastor Joel Hunter, Bill Hybels, etc.